What could a hugely successful author, speaker, and coach possibly know about losing? 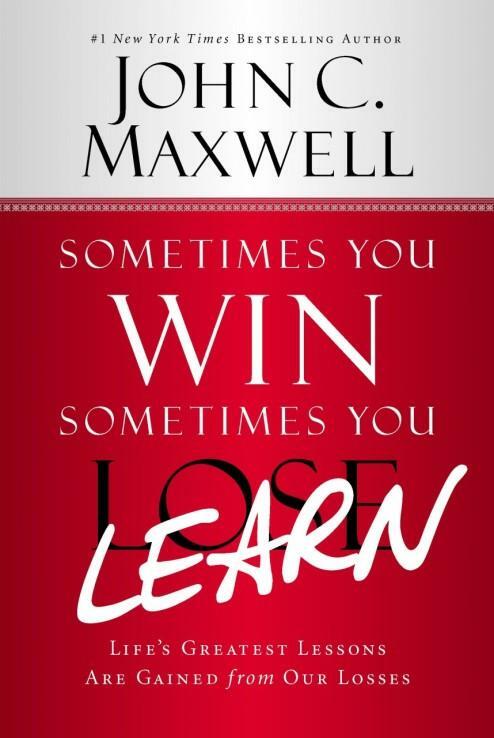 For over 50 years, Dr. John C. Maxwell has lived life, started businesses, mentored thousands of leaders, and through it all, he has won big and learned even bigger lessons. John takes the reader on a well worn path in the pursuit of raw leadership by examining what every human has in common; those experiences we can all say, “I have been there.” Every one of us has experienced a disappointing loss in our own personal growth or leadership. How we have responded to those mistakes, errors, slips in judgment or just plain missing the goal has formed us even now. No bad experience has to ultimately defeat us. This book helps light the path to a more fulfilling life by examining loss, not from measuring what one does not have, but how loss can bring abundance. Every negative event or loss that occurs can become a great learning opportunity to take us all the newer and greater heights in our own lives.